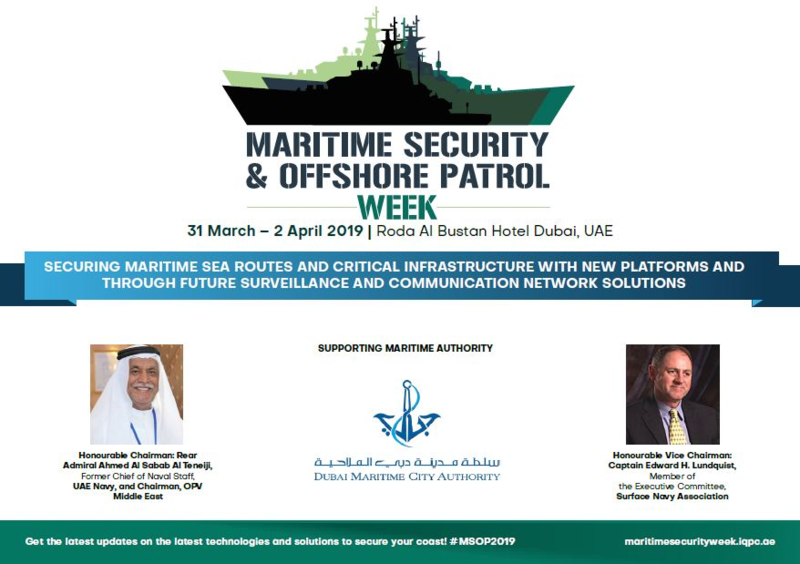 For the first time ever, IQPC is honoured to announce that the Maritime Security & Offshore Patrol Week will be held from 31 March – 2 April 2019 in Dubai, UAE. From chief of navies to commanders of the coast guards, harbour masters, J2, J3, J6 commanders and heads of CIS - we are bringing all the decision makers together to fortify cooperation, increase maritime capabilities and security levels. Featuring 20+ speakers, 2-day conference with more than 20 exciting sessions, focus day on port and near-shore security, and more, this is the largest gathering of experts from navies, coast guards, port authorities, maritime communications authorities and maritime infrastructure to discuss maritime security best practice and expansion projects.